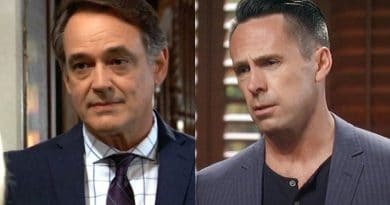 General Hospital spoilers report that Sonny Corinthos (Maurice Benard) is hoping for a miracle. His GH dad Mike Corbin (Max Gail) sees his health on a steady decline as a result of Alzheimer’s. It may not be long before Mike totally slips away from Sonny. That makes every day more critical for the mobster and his dad. 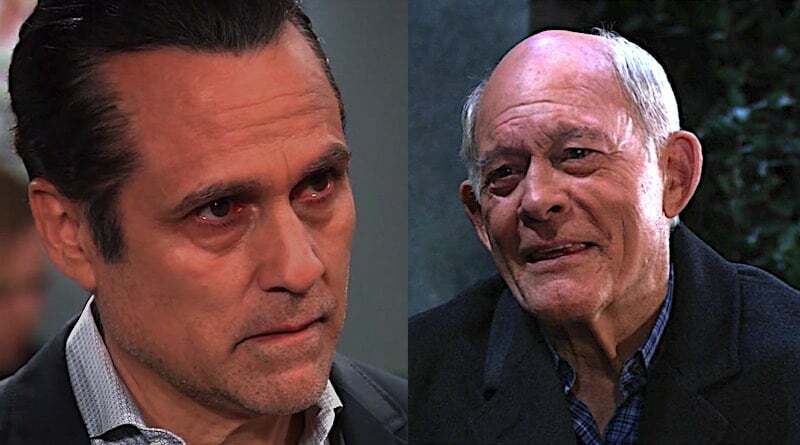 On General Hospital, Sonny Corinthos prays for a way to save his dad. He knows that there is no cure for Alzheimer’s. However, it doesn’t stop him from hoping something can save him. Unfortunately, the most he can pray for at this point is more time. Mike and Sonny have not always been on the best of terms on General Hospital. However, lately, they have been reminiscing about his childhood. Although Mike Corbin walked out on Sonny’s mother when he was young, it is becoming evident that Mike was still watching over him. This revelation may make it even more difficult for the mobster when it is time to say good-bye. Marcus Godfrey (Nigel Gibbs) was furious after catching Mike kissing his wife, Yvonne Godfrey (Janet Hubert) under the mistletoe on GH. The situation escalated even further after Mike and Yvonne left the memory care facility to go to a jazz club. 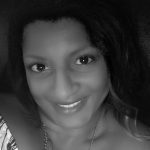 Marcus even considered pressing charges against Mike even though Mike and Yvonne share the same illness. It is probably less painful for Marcus to blame Mike Corbin rather than his wife, especially since Yvonne hardly remembers him on General Hospital. Nevertheless, this puts Sonny between a rock and a hard place. His dad struggles to remember that Yvonne is married. He told his daughter-in-law, Carly Corinthos (Laura Wright), that recalling information like that is similar to holding onto snowflakes. Sonny knows that Yvonne makes his dad happy. That is something that he wants for him more than anything. Although being a mob boss on GH has its privileges, he can’t morally ask Marcus to give Mike his wife. It also won’t stop the decline of Mike’s disease. If Sonny could buy a miracle for his father, he would do it without hesitation. Seeing a smile on his face is a wonderful contrast to the look of confusion that may often follow. Unfortunately, all of the money and power he has may not be able to stop this train on General Hospital. On GH, Mike’s illness is only expected to get worse in the coming months. Sonny and Carly may have to make a choice regarding Mike Corbin’s long-term care. If they continue to allow him to live with them, then he may become a bigger danger to himself and others. Sonny may not be able to risk that with his young daughter, Avery Corinthos (Grace and Ava Scarola) living in the same house. As painful as it may be, Sonny Corinthos may want to make a decision sooner rather than later on General Hospital. However, GH writers have stated their commitment to seeing this storyline through to the end. Keep watching GH on ABC weekdays to follow this amazing characterization of Alzheimer’s toll on the Corinthos family. Follow Soap Dirt for the latest and best General Hospital spoilers, recaps, and leaks.